YOU WISH was the winner of the “Best Chick Lit/Women’s Lit” in the eFestival of Words 2013. Do we control our own destiny – or might it be determined by fate, coincidence, luck…or even magic? Ruth, an amateur psychic with a husband who smokes cannabis for breakfast, is haunted by a tragic event from her teenage years which, she suspects, was the result of a wish she made on an allegedly enchanted stone. Too embarrassed to admit her fears, she keeps her secret to herself for twenty-five years. Petra is the perennial singleton amongst her friends, unable, she thinks, to fall in love. She comes across the stone at a Psychic Fair and makes a wish, just for fun. As the wish begins to come true she wishes she had chosen her words with more care. Spoilt, weight-obsessed Sarah wants nothing more than to be “size zero”. As her life spirals downwards into the seedy world of drug abuse and addiction, she remembers the day at the Psychic Fair when she wished for her heart’s desire. Terry Tyler’s début novel is a quirky contemporary drama exploring the themes of family affairs, infidelity and guilt, incorporating jealousy, drug abuse and the obsession of a Facebook stalker, against a backdrop of secrets and superstition. 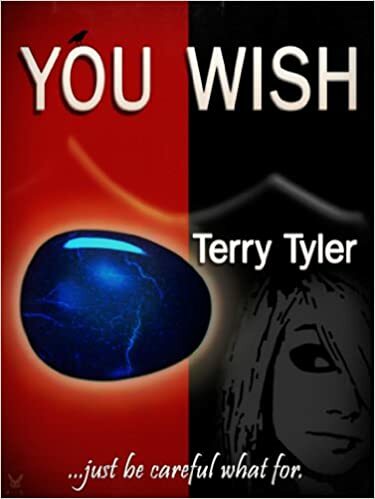 I’ve read a few of Terry Tyler’s books and was looking forward to reading You Wish. I knew this was her first novel so, though I expected the plot, the themes and the characters to be as diverse, as multi-layered, as interesting as her later stories, I thought that her writing style would not be quite so polished; it’s well known that the more we write the better we get (usually!). “Practice makes perfect” they say ( I never found out who said it but it’s something that was drummed into me as a child with anything I did). But I was wrong; this author hit the ground running with her début novel; not only does You Wish have all the ingredients I’ve enjoyed with her other books, but the writing is as superb, as individualistic as ever. Structured, as is usual with Terry Tyler, with each character’s story being smoothly interwoven with the others but in separate chapters, the book is as unpredictable and enjoyable as any other I’ve read of hers. I’m not in the least surprised it won the Best Chick Lit/Women’s Lit” in the eFestival of Words 2013. The themes are more or less listed in the blurb. (Bit too much information here? I try not to give spoilers in my reviews – does this blurb, Hmm?). Themes of addictions, obsession, superstition, family issues and secrets, infidelity, guilt, jealousy are all encompassed in You Wish. I usually forget to say anything about the covers of the books I review but I do love the image of the stone here. The wish-stone is a metaphor for all the main characters’ hopes and dreams, initially unfulfilled. But while the supernatural aspect of the book lurks throughout the story and within the characters’ sometimes reluctant belief in its magical powers, it doesn’t detract from the gritty reality of their lives. Told from a third person omniscient narrator’s point of view the various aspects of each character’s mind-set is exposed by their actions, and their dialogue. These are well-rounded characters, each identifiable by their dialogue even without the tags. I found myself empathising, disliking and feeling irritated with each in turn. The descriptions of the various settings are well portrayed; the reader is taken from ordinary domesticity to plush surroundings to seedy environments. All give a believable sense of place. This entry was posted in blogging, Book Reviews, Books, contemporary womens'fiction, crime, Review and tagged #blog, #tuesdaybookblog, #womenwriting, authors, Best Chick Lit/Women's Lit" in the eFestival of Words 2013, books, crime, Readers, Reviews, Terry Tyler by Judith Barrow. Bookmark the permalink. Great review Judith. This is on my kindle, I’ll have to bump it up. Lovely review, Judith. I haven’t read this one so will remedy that soon as it sounds like a good read. Thanks, Mary. I do like her work. I think I’ve read everything else she has written and enjoyed them all. I love her writing because there’s always a twist at the end – and the characters are not always what they seem to be initially. Thanks so much for this, and I am TOTALLY MADE UP that you liked it so much! I’m reading Terry Tyler’s “Best Seller” at the moment and loving it, so I’ll definitely be downloading this one. It’s great to discover a new author I really like.